$94,000!?!?! And I thought Porsche’s were a overpriced! We live in a wild time for high performance cars right now. In truth the market is as crowded as it has ever been. $100,000 will buy you quite a lot of car these days, even if you buy brand new. 500, 600, or even 700 horsepower can be had for far less than this Evora costs. Now, obviously, I understand that Lotuses are about handling and overall pace more than they are about raw power, but the market has been speaking pretty clearly about the sorts of cars it wants, and the Evora isn’t it. There’s no denying that raw horsepower makes having fun in a car easy and accessible to most drivers. People want to be able to get a quick rush when they mash the gas and then go back to comfortable cruising when they’ve had their fill. The shift toward grand touring cars has been oh so clear as of late, with the demand for technical driver’s cars like the Evora in steep decline because they simply require too much effort to drive. This is why paddle shift gearboxes are replacing manuals, and why performance cars have been gaining weight like crazy trying to offer all of the most cutting edge gizmos and gadgets available. Yes in terms of Lotus founder, Colin Chapman’s, philosophy of “simplify and add lightness” the times could not be more opposed. And when it comes down to writing a check for a car, price really is the fundamental factor that determines who competes with who. I loved driving the Evora S, loved it, but if I had $100 grand to spend I’d much rather have a Jaguar F-Type R or a new Corvette Z06. Frankly, if I wanted the same sort of mid-engine sports car experience, I’d save myself $10 grand and buy a Porsche Boxster S with all the options I’d want… if you’re priced above Porsche there had better be a damn good reason. Recently, Lotus announced that the Evora would not be sold in the US for 2015, but would return in 2016 (which I happen to doubt will happen). They’ve also completely axed their plans for a new Esprit, and the Elise has yet to be replaced. I’m not at all a fan of the direction that Dany Bahar wanted to take the company, but at least he had a solid lineup of models at the ready. Lotus’ current situation seems the opposite, they’ve got nothing. Even if the Evora does return in 2016, it isn’t strong enough to carry the brand. Lotus is clearly in trouble right now, and an exit from the US market may well be looming. I want them to figure it out, but as a brand they have struggled to stay relevant. Bahar’s grand lineup of very un-Lotus like cars seemed idiotic, but it may have actually been a good basis for Lotus in the future. You see, “simplify and add lightness” doesn’t have to mean that you only make sub-3,000lb cars. “Lightness” is a totally relative term. I know how much people cringed when Bahar said he wanted to make a Lotus sedan, but what if it weighed 3,500lbs when the sedan segment average was around 4,200lbs, is that not holding true to Colin Chapman’s philosophy? 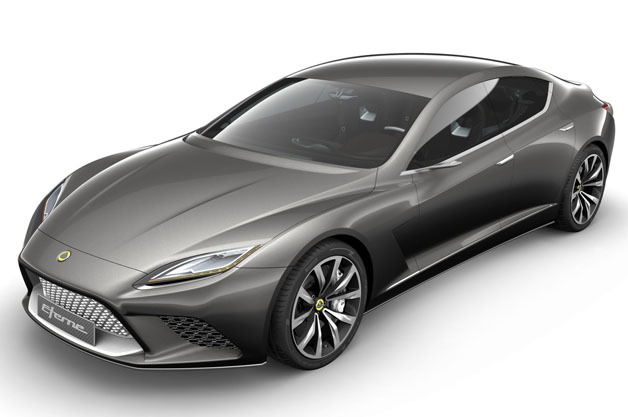 Lotus is definitely a company run by purists, but they have been making all of the purist mistakes by assuming the way things have always been done is the way things should continue to be done. Lotus needs to adapt to the times soon or the brand likely won’t survive. The market is talking . . . is Lotus listening? This is the #1 challenge for all car companies. Great post! Such an iconic car company… I hope the Chinese will take notice soon and inject some cash to revive it. Ha!